I'm the author of the book, Exploring Chicago Blues: Inside The Scene Past and Present (History Press). It's an accessible travelogue of Chicago blues history and landmarks. Check it out on my Amazon author's page. The year 2019 has ushered in a lot of political and social turmoil for African Americans. The foundation of the U.S. is crumbling and it's revealing the ugly underbelly that has informed many things about how this country operates. Knowing and understanding history is always crucial but especially now. 2019 marks 400 years since the first enslaved Africans left the shores of Ghana and arrived in Jamestown, Virginia. Ghana is commemorating this history with The Year of Return 2019, a celebration of concerts, performances, symposiums and events to welcome back the Diaspora. I was honored to join the inaugural Year of Return journey with The Adinkra Group last August. 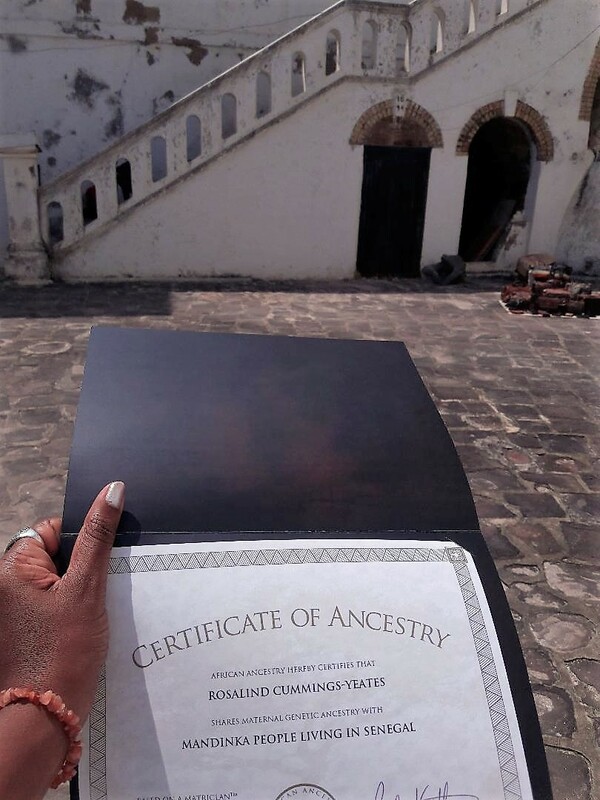 Besides supplying a tangible re-connection with my heritage, I was able to explore the rich Pan African history of African Americans in Ghana. The first thing I ever learned about Pan Africanism was that African American scholar and activist W.E.B. 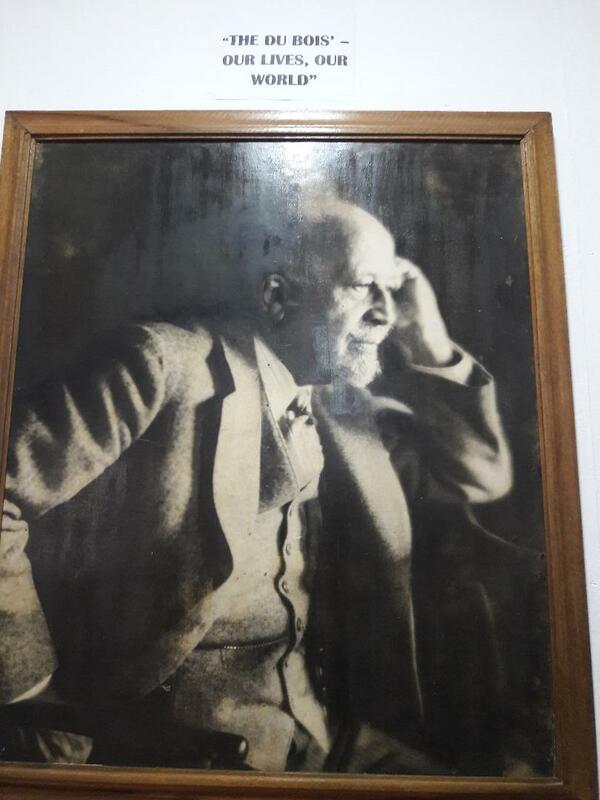 Dubois was a leading advocate and was also a delegate at the first Pan African Congress . I knew that he had lived in Ghana but I didn't realize that he spent the last decades of his life in Ghana, writing the Encyclopedia Africana at the invitation of President Kwame Nkrumah. 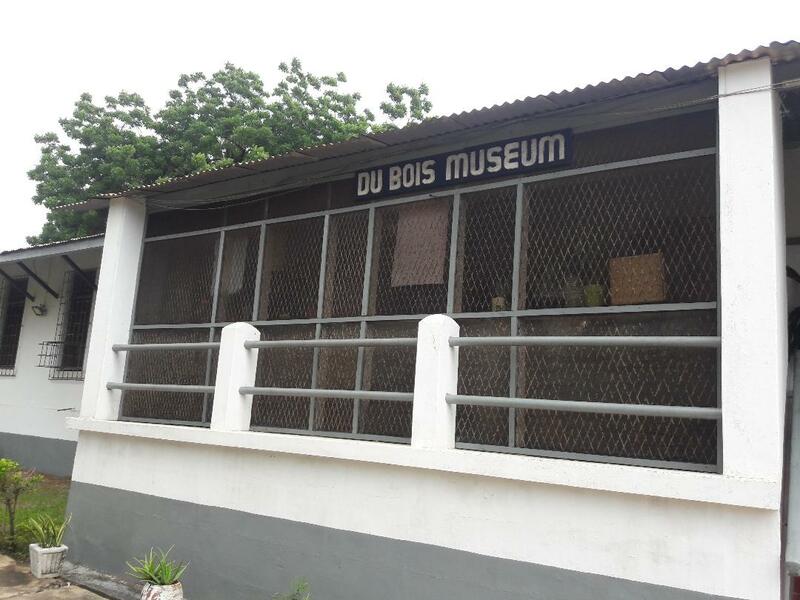 Today, Dubois' Accra home houses the W.E.B. DuBois Centre for Pan African Culture. 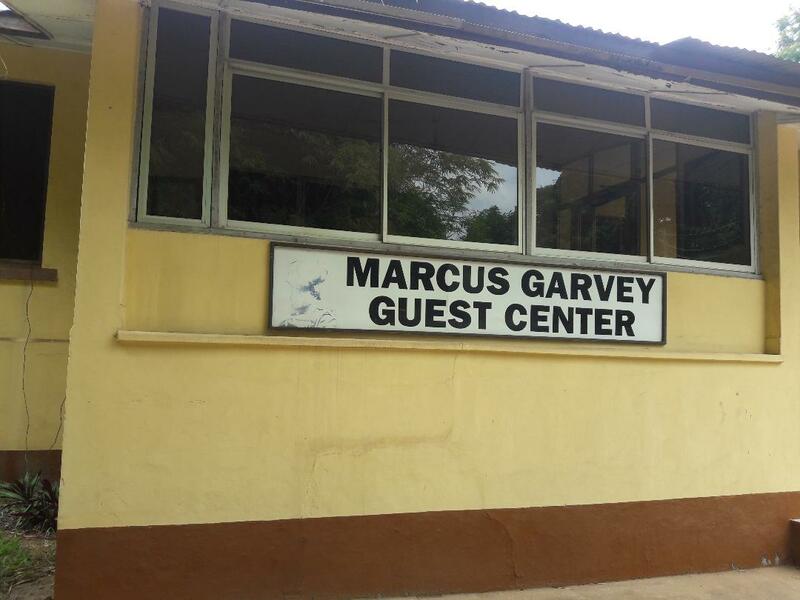 I roamed through the museum, taking in his books, academic robes lined in Kente cloth and photos. The center also features a guesthouse with rooms named for famous Pan Africanists like Marcus Garvey and Malcolm X. Dubois and his wife Shirley are buried on the grounds, surrounded by a garden. Nearby, the African American Association of Ghana and the Diaspora African Forum hold regular meetings. Ghana is surrounded by eerie "slave forts," a reminder of the brutal Trans Atlantic Slavery history. One of the most famous is Cape Coast Castle, which thousands passed through to be caged and shipped to the Americas. 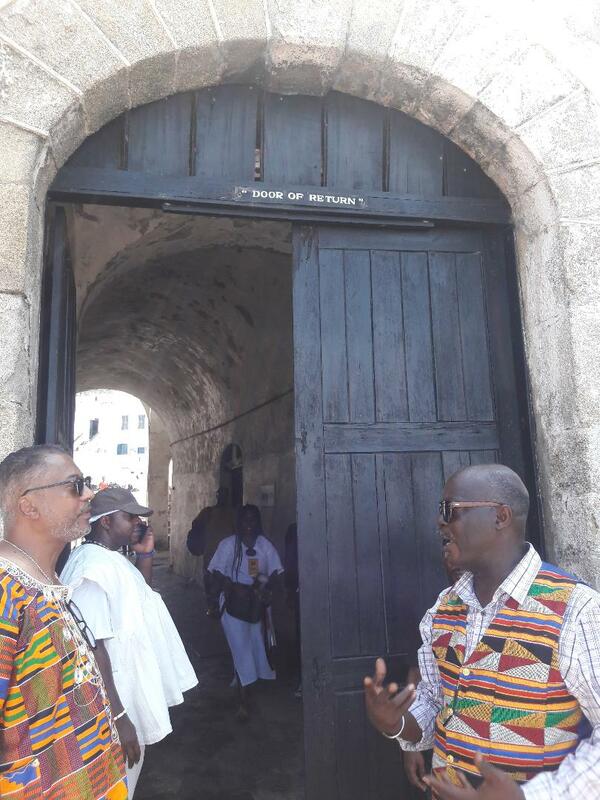 It is an important pilgrimage for Africans in the Diaspora to return to these places where our ancestors were ripped from their homes. 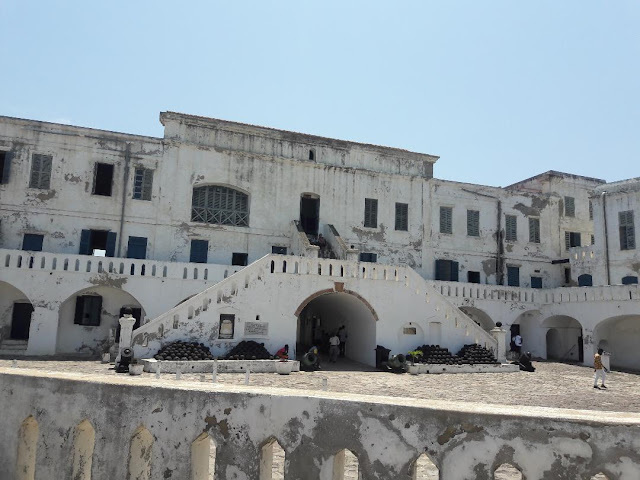 I entered the dungeons and cells of Cape Coast and cried throughout the experience. I walked through the infamous "Door of No Return" but I felt spiritually uplifted when I turned around and went back through. I did return and I felt my ancestors rejoice. 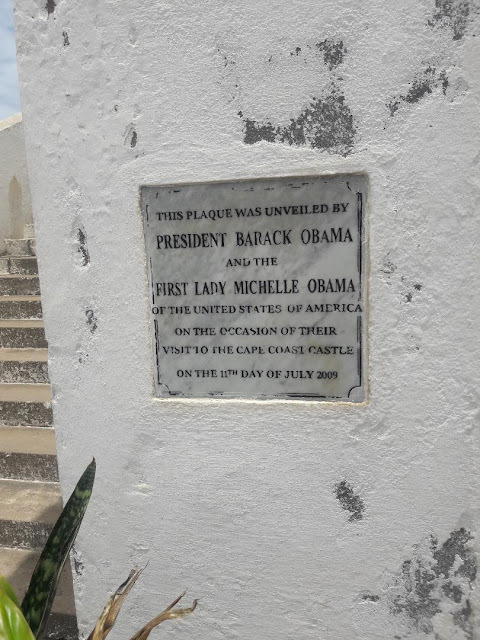 On the side of the women's dungeon, a plaque commemorates the visit of President Obama and First Lady Michelle. It felt comforting to know that my fellow Chicagoans had made this important journey as well. The door of return opens to the shores of the Atlantic, with traditional fishing boats sitting on the sand. A couple of hundred years ago, there was a different kind of boat waiting. Another major landmark is Black Star Square. This stadium hold 30,000 seats and is the largest in Africa. 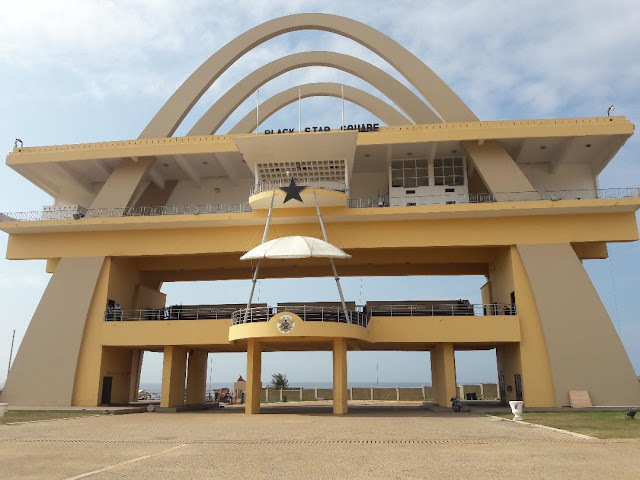 The Black Star references the star on Ghana's flag, which was inspired by Marcus Garvey's Black Star Line. The Black Star Line was a steamship corporation that transported goods to members of the African Diaspora. But the line is most famous for transporting African Americans, tired of the racism, violence and inequity of the U.S, back to the Motherland. Over 100 years ago, the idea of returning to Africa was new and appealing. Today, the idea is not so new but the appeal is growing even more. I met dozens of African Americans who have moved to Accra and Kumasi, happy and secure in a country that treats them respectfully and offers lots of economic opportunities. 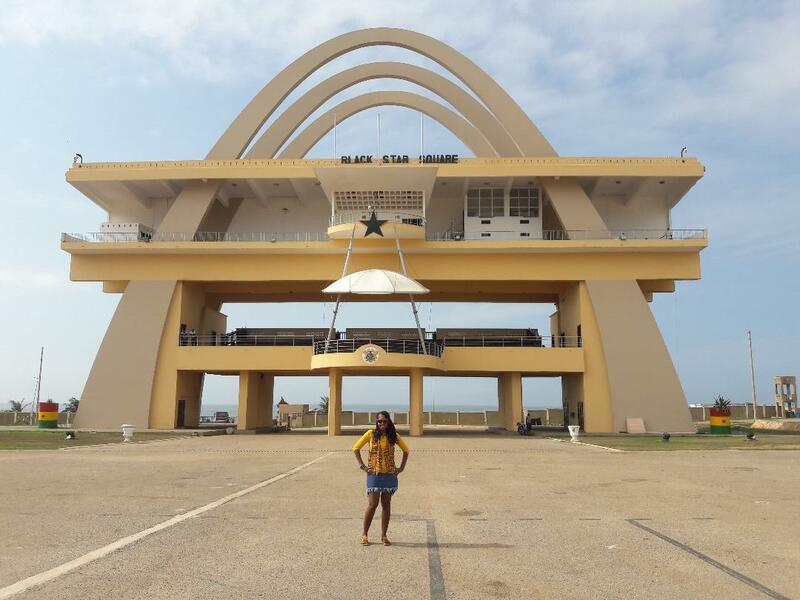 Ghana reminded me why it's important to remember your history and also that we have the power to reject repeating history and to create new experiences. Music is one art form that transcends language, culture and location. If you want to understand a destination better, listen to the local music, preferably live. Jamaica is famous for reggae music and there's is absolutely no better place than the island's lively streets, beaches and clubs to hear the genre live. The breezy melodies and thumping rhythms of reggae jump to life in Jamaica. I was fortunate to hear legends like Mykal Rose, Beenie Man and Marcia Griffiths during VP Records 40th anniversary of classic reggae music. You can check out my brief videos of the shows below but they don't even come close to the magic of hearing it live. I can't even describe the feeling of listening to live reggae in Jamaica. It's an integral part of the culture that dives right into your soul. Jamaicans love their native music and you will always hear them singing along to live performances with as much passion as the singers. It's like a family reunion/neighborhood sing along/ with a stage and gracious and gifted musicians. As they say in Jamaica, "no vibes sweeter." Beaches have always been a source of happiness for me. The tranquility and ease that transmits to me through the water instantly relaxes me. I have quite a few favorite beaches around the globe but Doctor's Cave is my go to spot whenever I'm in Montego Bay. I was lucky to stay right on the beach at the new S Hotel Jamaica so I spent four days straight on this historic beach, soaking up the sun. Doctor's Cave is a small beach with a busy cafe and a few other amenities. 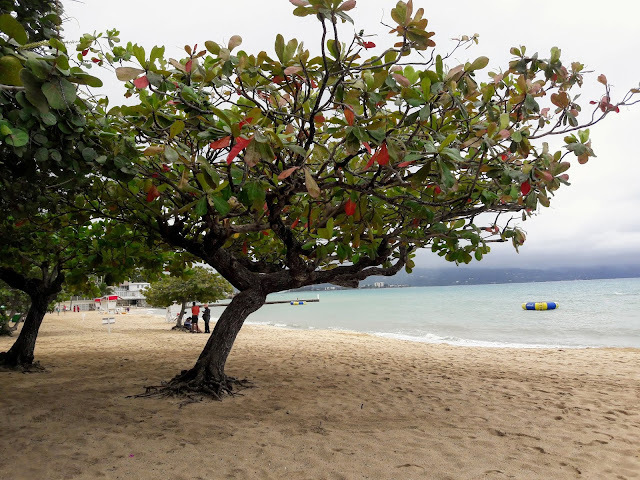 But my favorite things are the lush, almond and sea grape trees that dot the sand. I prefer to sit under one of these instead of using an umbrella. The sand is fine and soft and the water is clear, with gentle aquamarine waves that lap around you. 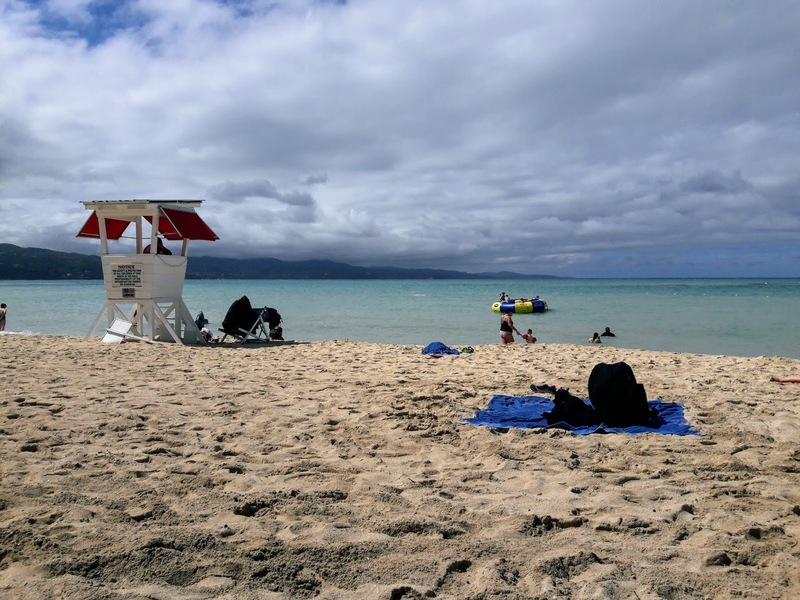 Week days when there are no cruise ships are the best because the beach is relatively quiet. The weekends are a whole other thing but as long as you arrive early, you can snag a spot on the shore. 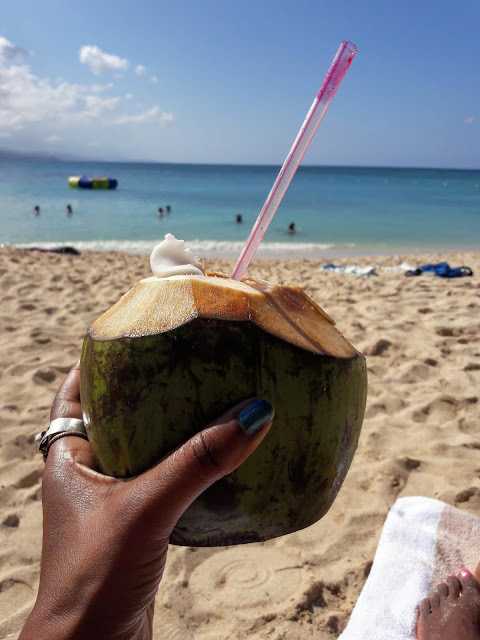 The cafe sells lots of over-priced tropical cocktails but the best thing to drink under the hot Jamaican sun is fresh coconut water. Local vendors will slice a coconut open for you with a machete and then slice it some more after you drink all the water so that you can eat the jelly inside. I can't think of a more perfect way to spend a winter day. At this time exactly six years ago, I was headed to one of my favorite islands. The land of wood and water is the translation from the original Arawak word, Xaymaca. I 'm returning again to Sweet Jamaica and it has been entirely too long. 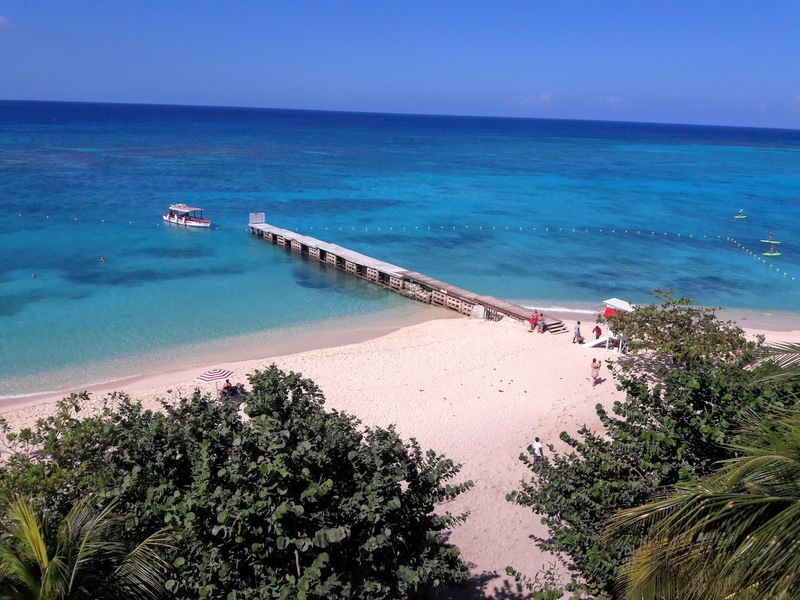 My pic above shows the famous Doctor's Cave Beach in Montego Bay, which is where I will be staying at the brand new S Hotel. It's always special to visit Jamaica but I'm going for an extra special event, the 40th anniversary of iconic reggae label, VP Records. As a reggae fan, this is a huge deal. I'll be documenting the opening of a special Reggae Music Journey exhibit at Montego Bay's Sangster International Airport as well as a live concert in conjunction with the launch of the Strictly The Best compilation album. 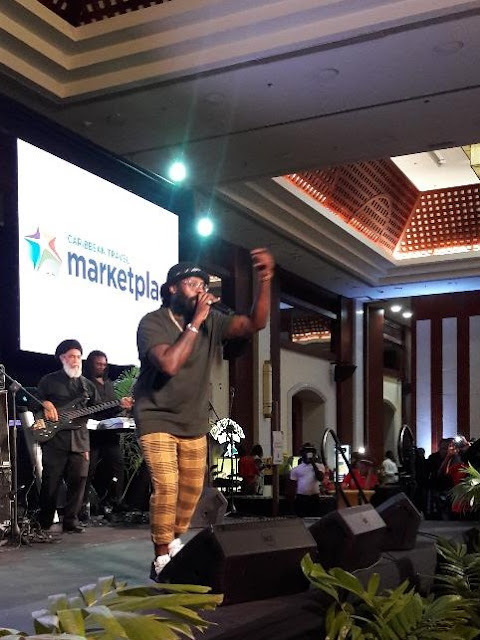 I'll also be attending the opening of the Caribbean Hotel and Tourism's Association's travel marketplace opening ceremony featuring Tarrus Riley and mento legends, The Jolly Boys. Look out for lots of videos and of course, more Doctor's Cave Beach pics! When I first arrived on Sanibel Island, I was sitting at a Tiki Bar, waiting for my room to be ready when a couple asked me if I was from Alaska. I had on a light sweater, a scarf and jeans. I explained that their theory was pretty close (I live in Chiberia). The temps were in the low 70's and I wasn't hot at all but that's not the point. Sanibel is all about the beach, the sun and wearing tropical clothes, regardless of the weather. It's like a rule. So I explored Sanibel and Captiva beaches, nature reserves and bike paths as one of the only people in pants, lol. I loved delving into these natural spots, and they were always mostly deserted. Cayo Costa shown above, was my favorite beach. It was filled with piles of shells and a beautiful shoreline that I walked for two hours straight. Sanibel's beaches were scattered with striking sand sculptures like this mermaid. On the Sanibel Heritage Trail, this sign warning of an alligator caught my eye, as well as the scenic backdrop. At J.N. Ding Darling Wildlife Preserve, I spotted this flock of birds included roseate spoonbills, which are the pink birds of Florida. On Captiva, I was enchanted by the old school architecture and rainbow colored buildings. Sanibel and Captiva are really about the natural environment, especially beaches. 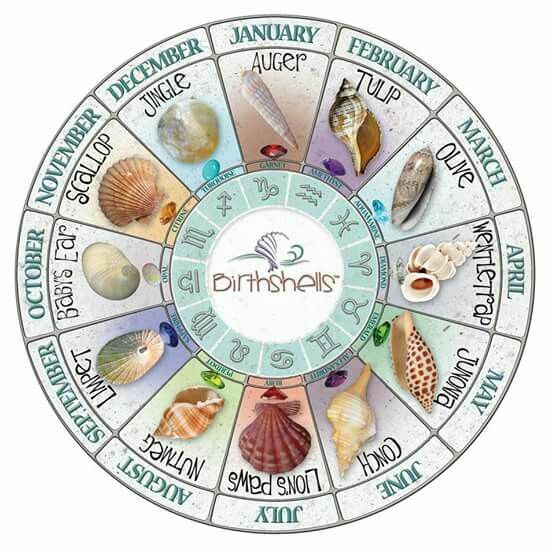 I scooped up lots of shells and even learned that there is a seashell horoscope and mine is a thin, translucent shell called a jingle or mermaid's toenail. 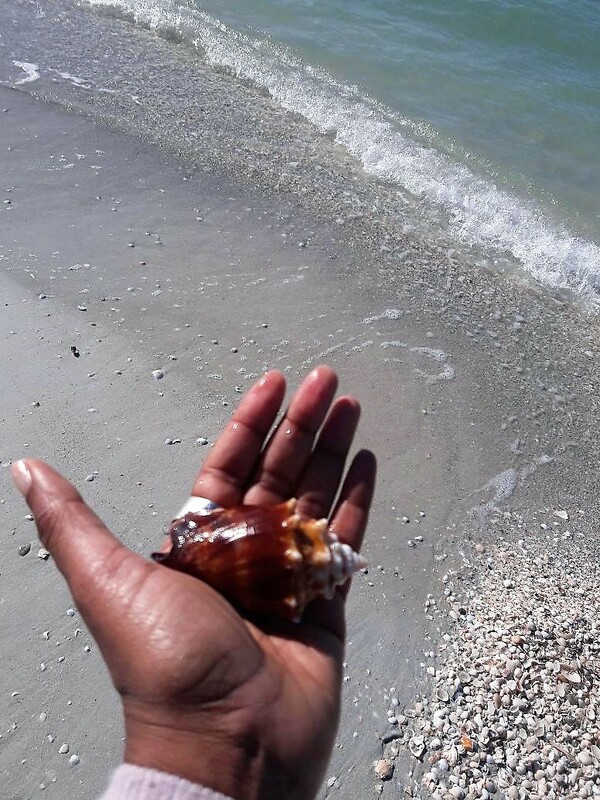 I'm holding a Florida fighting conch below, which was given to me by a fellow shell collector on Cayo Costa. 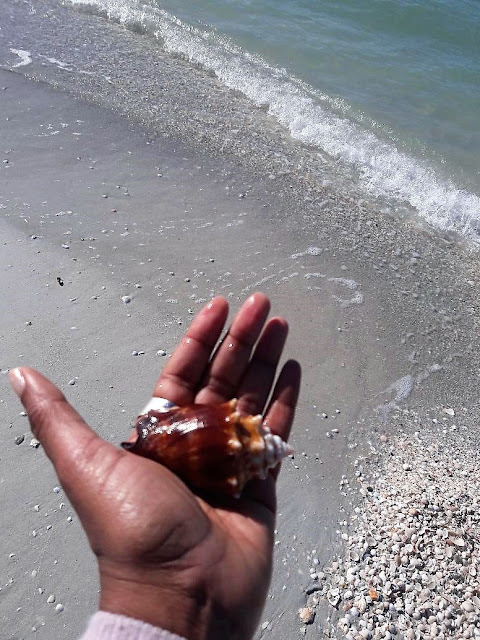 Considered the best place to collect shells in North America, and boasting no street lights or stop lights, Sanibel and Captiva are the ultimate in laid back island lifestyle. 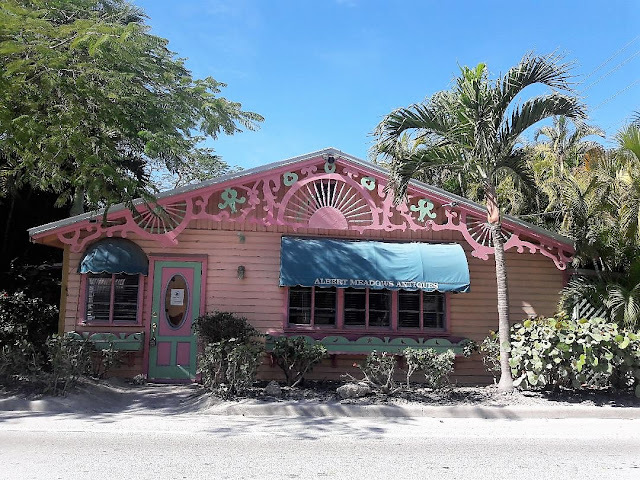 For years, I've wanted to explore the unusual barrier islands of Sanibel and Captiva, located off the southwest coast of Florida. 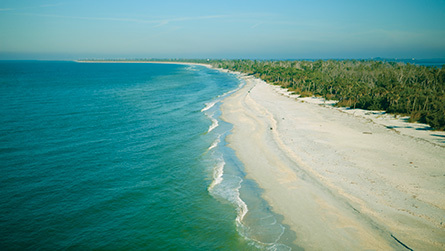 Most islands have a north-south orientation but on Sanibel and Captiva, the layout is east-west, creating glorious sandy beaches and layers of shells. I'm excited to kick off my 2019 travels by exploring these under-the radar islands. I'll be biking the Sanibel Heritage Trail, hopping on a shelling cruise to Cayo Costa island, accessible only by boat, and hiking through the J.N,Ding Darling Wildlife Refuge. ,where I hope to spot a few manatees. A stop by the Bailey-Matthews National Shell Museum, the only museum dedicated to shells in the U.S., is also a Sanibel requirement so hopefully I won't come home with pounds of shells to add to my collection! Please follow along with my posts as I discover these intriguing islands. 2018 was really some kind of year! It was filled with unexpected situations as well as familiar scenes and there was a clear pattern to the year's travel. I embarked on new, unforgettable journeys to countries that start with "G": Greece, Guadeloupe and Ghana. And I returned to beloved, familiar destinations; St. Lucia, St. John, Tobago and Montreal, for a whole new perspective. "The Year of Return" is also the theme for Ghana's year-long commemoration of 400 years since the first enslaved African arrived in the U.S.. A celebration of the resilience of the African spirit, the 2019 Year of Return welcomes all the Diaspora to return home and re-connect. That's exactly what I did during my life-changing trip to Ghana. From the time I stepped onto the streets of Accra, I was welcomed like a daughter returned from a long trip. 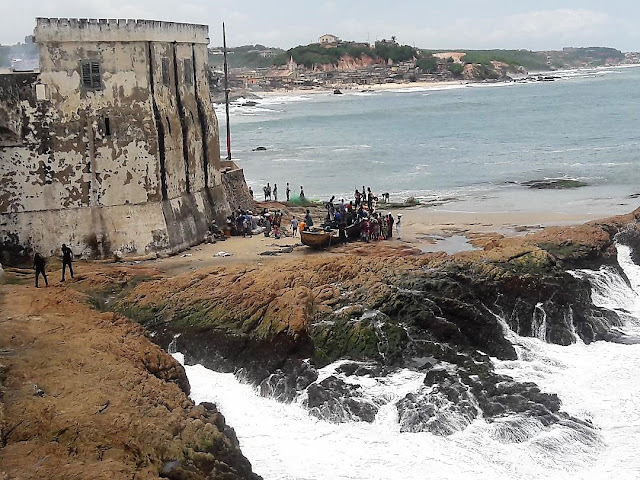 I cried during most of my time at Cape Coast Castle, shown above, the site where thousands were imprisoned and then shipped off to the Americas during the brutal Transatlantic Slave Trade. It wasn't easy, but I re-traced the steps of my ancestors, through the "door of no return" and back again because I had indeed returned. I had returned to re-connect to African people and culture and to also discover my ancestral heritage. Thanks to African Ancestry, I was presented with the results of my DNA test in front of the infamous door of no return. 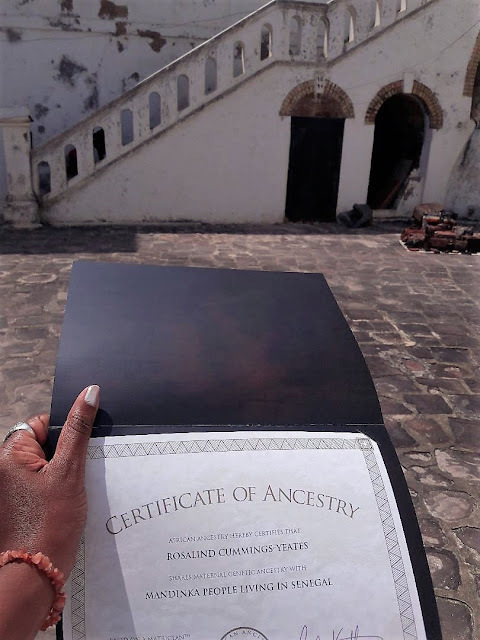 I learned that I came from the Mandinka people of Senegal, a culture that I've always felt a connection to, especially with their tradition of griots who are storytellers who pass down history through songs and poetry. I walked through the door of return a different person with a different identity. Ghana's official launch for the Year of Return featured music, shown in the video above, pageantry and theater. The trip was the highlight of my year. Other highlights included a return to St. Lucia for the St. Lucia Jazz Fest, which has totally changed from when I attended nine years ago when Amy Winehouse was the headliner. The focus has switched to true jazz performers with a smattering of Soca musicians, including the "Queen of Bacchanal" Destra Garcia, who I enjoyed watching as she headlined the last night. Dancing to Destra under the stars on Pigeon Island, eating and whining my way through Gros Islet Jump Up and shopping at Caribelle Batik are memories I'll always cherish. St. Lucia's beauty is unrivaled as you can see with the iconic Pitons above. St. John is another island famous for its beauty and I was thrilled to find it recovered from the devastation of Hurricane Irma. As you can see below, Love City, as St. John is called, retains all of its tropical loveliness. Montreal is one of my fave cities and I'd visited in every season except winter. I decided to ignore my aversion to the cold and check it out in February. Snow and ice blanketed the city and outlying towns but it was still beautiful and exciting. I attended winter festivals, enjoyed jazz clubs and toured the dynamic street art scene. You can see a mural of Leonard Cohen peeking out over a building below. 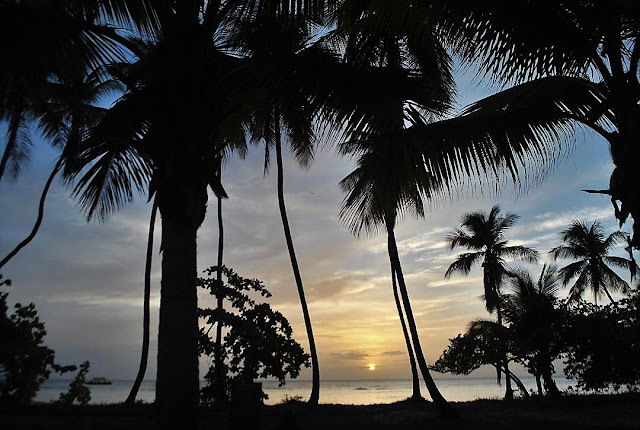 I returned to Tobago after a long 18 years and found it mostly unchanged. The people were still friendly, the landscape was still stunning and the small island culture was just as intriguing. I visited parts of the island I had never seen and reveled under a sunset over Pigeon Point below. In 2018, I experienced different kinds of travel, wrote for different kinds of publications and viewed familiar locations from different angles. Here's to a new year of growth and travel!